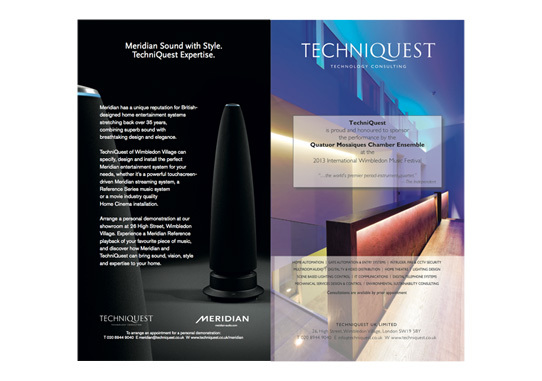 TechniQuest are proud to support the International Wimbledon Music Festival through their sponsorship of the celebrated period-instrument quartet Quatuor Mosaïques. 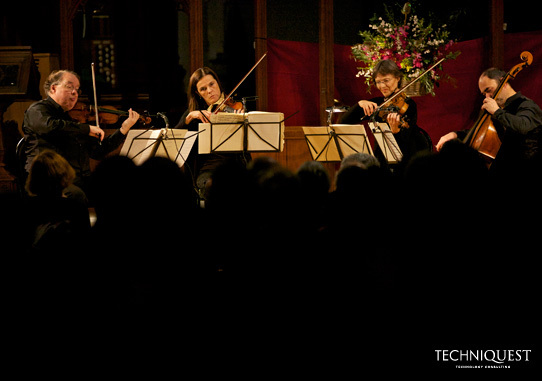 In the historic interior of St.John's Church, Wimbledon Village, the multiple award winning Austrian and French quartet played chamber pieces by Haydn, Mozart & Beethoven to a full-house privileged to experience a world class performance in an intimate concert venue. 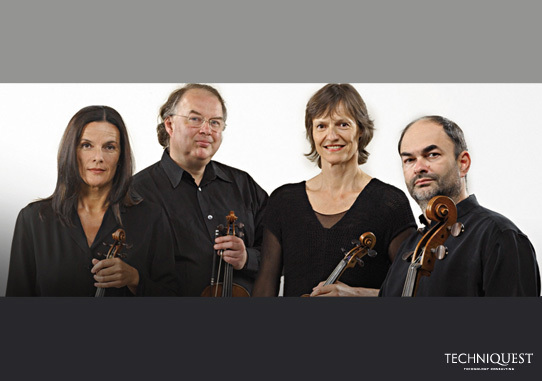 "...the world's premier period-instrument quartet."